On this site once stood Dun Bhrain, a Celtic Fort built in the early 1st Century. From this strategically located site a ferry linked Waterford to other medieval cities such as Kilkenny, Dublin and Limerick, and river borne traffic from Waterford to surrounding areas could be controlled. 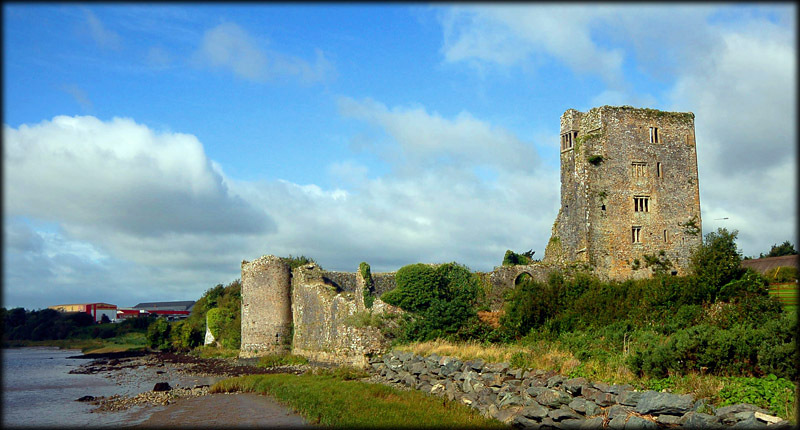 Grannagh is a typical Norman style castle, with a courtyard enclosed by battlemented curtain walls and towers in each corner. There are three corner towers, each joined by a curtain wall. 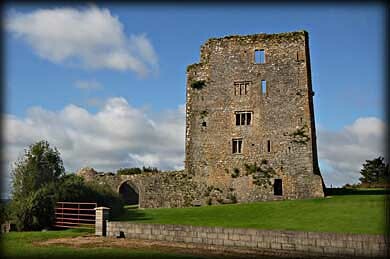 In the north-west corner is a large square keep, that may have been added in the 15th century. 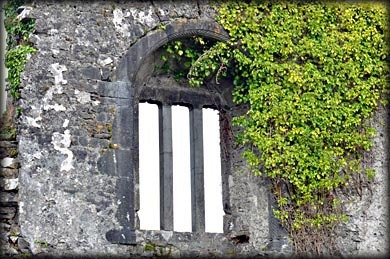 An oriel window was added to the south wall of the main tower in the 17th century. To the west of the keep was a two storey hall, only the north wall now survives. In the wall is a fine mullioned window decorated on the inside with two angels on the opposite sides of an arch. 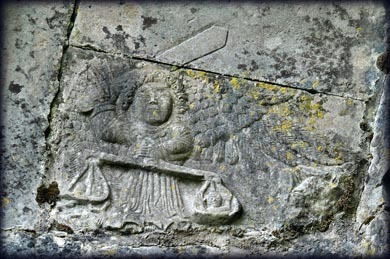 One of them represents Michael the Archangel weighing the souls on Judgement day. 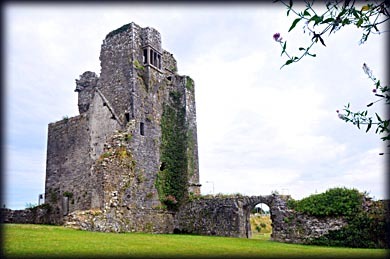 It is believed the castle was built by le Poers - Later anglicized to Power - who had been granted the whole of Waterford County and southern portion of Kilkenny County after the Norman invasion in 1169. But after they lost favour with Edward III, the King granted it to James Butler, the 2nd Earl of Osmonde in 1375. The Butlers of Ormonde also established Kilkenny Castle. In 1650 the castle was taken by Cromwell's forces and partially destroyed, ending a long history of occupation by the Butler family. Folklore: Locals tell that there was a tunnel from the castle under the river Suir over to the opposite shore. While designed to keep the fortifications supplied with food and water during a possible siege, it is believed that the Earls held court here, prisoners were thence held and condemned men were actually hanged in the tunnels. Margaret Ormonde, the "Countess of Granny", was said to be a very cruel witch who imprisoned her enemies in the tunnels and let them perish there. There are many such stories of her cruelty. One story states that when her jester failed to amuse her with jokes and tricks he fashioned a rope with several nooses to entertain her. She then demanded to see the invention work and thus seven innocent peasants were hung from the battlements to amuse her. This delighted so much that she incorporated "the Butler Knot" into the family coat of arms. Situated: From Grannagh Roundabout on the N25 take the N9 West towards the M9. At the next roundabout take the first exit the castle can be seen on your left 200 metres down this road. Discovery Map 76: S 5728 1467. Last visit Aug 2017.